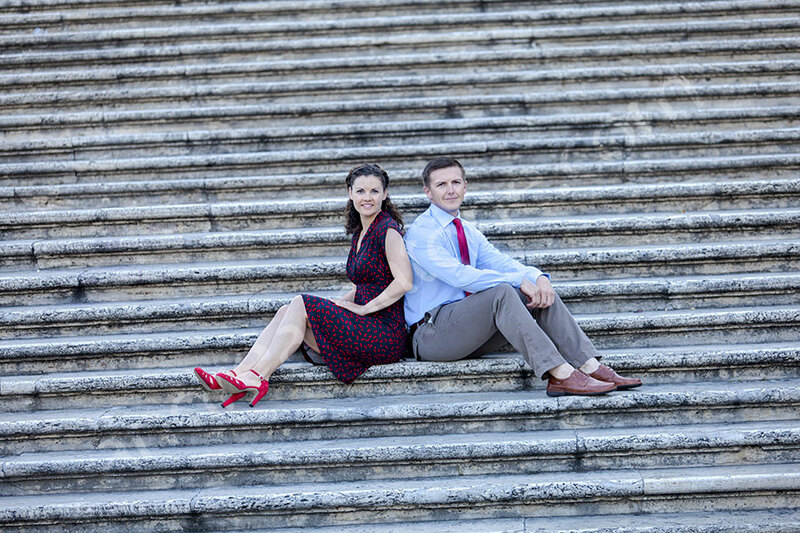 We started this engagement session in Piazza di Spagna real early in order to have the whole place to ourselves. 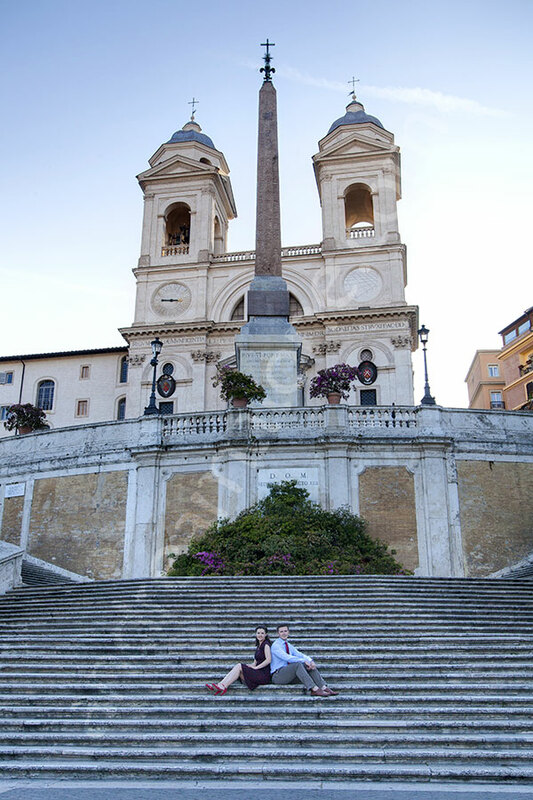 The steps were deserted as well as the square in front of Church Trinita’ dei Monti. We had contend the space a little bit with the cleaning crew that normally washes the steps in the morning. Then I struggled a little bit trying to find the right exposition between the large spaces that were still in the shade and the sun that was trying to make its way out. But it proved to be an interesting task allowing for singular lighting effects between sunset light and shadow. By the end of the session, the sun was shining and bright colors started to come out. 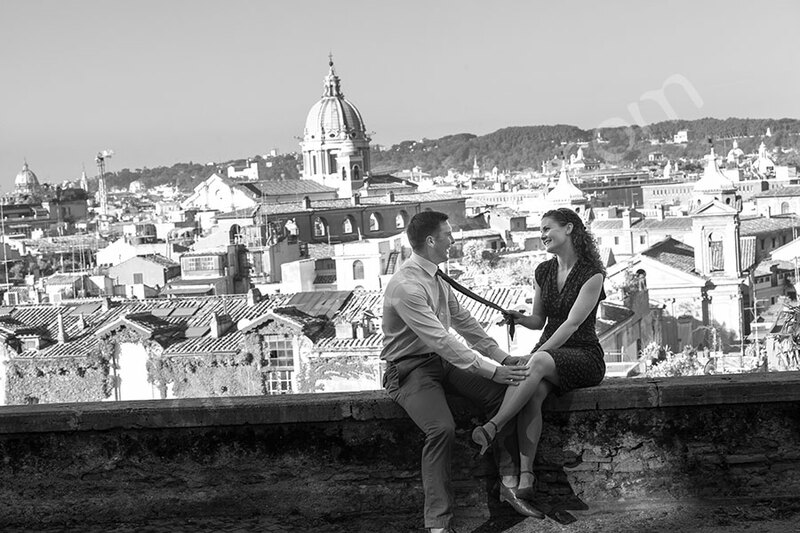 We then added a little bit of time also on the Parco del Pincio side taking some interesting pictures with the roman skyline in the background. 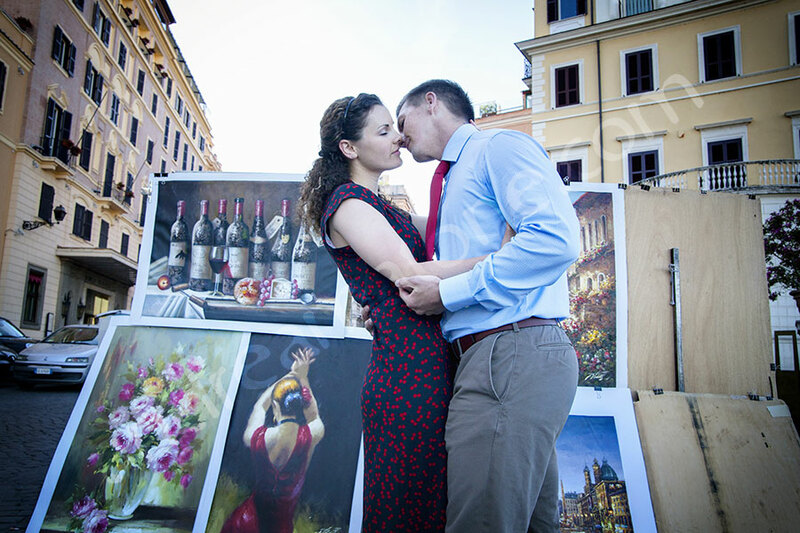 The session ended at the bottom of Piazza di Spagna with some more interesting engagement ideas. Thank you and all the best! An early morning appointment for some really interesting photography staring from the Spanish steps and up to Church Trinita' dei Monti. Then over a little bit to Parco del Pincio.